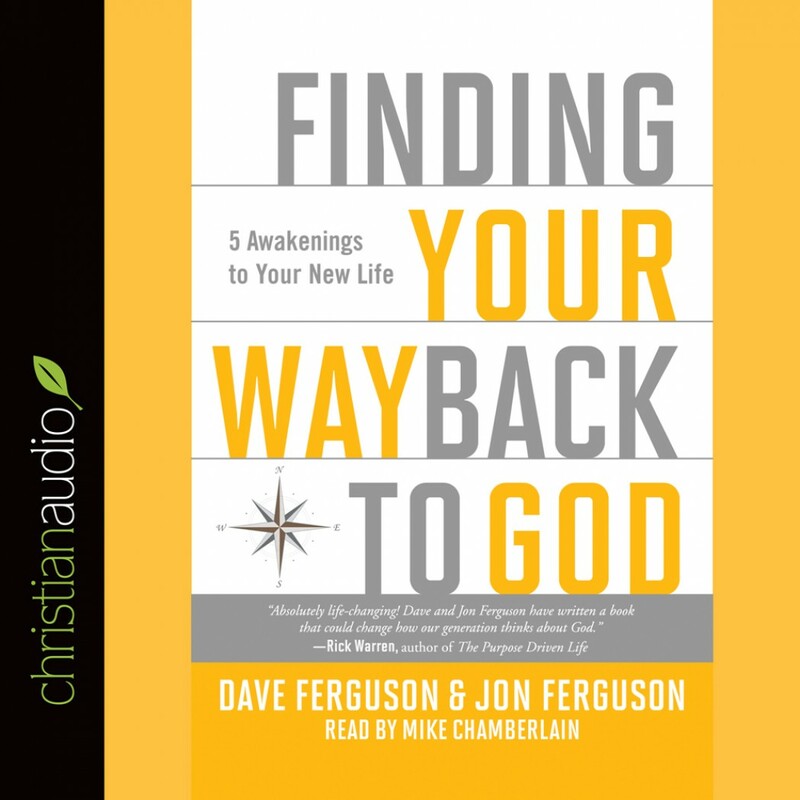 Finding Your Way Back to God by Dave Ferguson & Jon Ferguson - Christian audiobooks. Try us free. Each of us spends our lives on a journey toward God. Yet often our most deeply felt longings—for meaning, for love, for significance—end up leading us away from, instead of toward, our Creator and the person he made us to be. Finding Your Way Back to God shows you how to understand and listen to your longings in a whole new way. It’s about waking up to who you really are, and daring to believe that God wants to be found even more than you want to find him. It’s about making the biggest wager of your life as you ask God to make himself known to you. And it’s about watching what happens next.